Welcome to Altenheim Senior Living, and our new website! Many exciting things are happening here at Altenheim. As the area’s leader in providing senior living options, we deliver top quality, state-of-the-art services and amenities. Yet, as a not-for-profit organization that has been catering to seniors and the community for nearly 125 years, we are proud of our rich history. So, our feet are planted firmly in tradition, but our hands are always outstretched for positive innovation. It is in this context that our team, including the Board of Directors, staff and volunteers, passionately carry out Altenheim’s mission of optimizing the well being of those we serve. 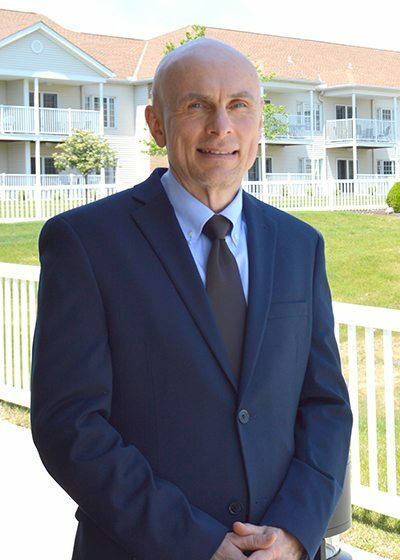 As you view our site, you will see we offer a wide array of services from premier senior and assisted living, to short term rehab, out-patient therapy, skilled nursing, memory care, home health care, private duty, and hospice room and board, offered by compassionate, well-trained, professional staff. We also provide Meals-on-Wheels, in conjunction with the Strongsville Women’s League, to homebound seniors in Strongsville. Please take some time to view our photo gallery. We have a beautiful campus with many amenities; and, the video . . . hear what satisfied families have to say. Also, check-out the testimonials written from the heart by families who are deeply grateful for the care their loved ones receive. For me personally, it is a great honor and privilege to serve Altenheim, its residents, patients and the community. 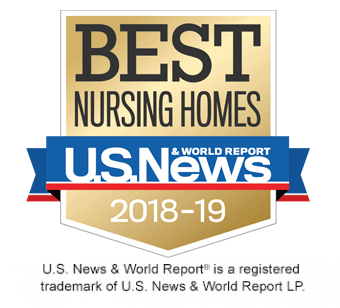 Altenheim Skilled Nursing & Rehab Center is, by the way, rated 5 stars overall by the Centers for Medicaid and Medicare Services, and is rated one of Ohio’s Best Nursing Homes by U.S. News & World Report. Shurmer Place, our senior and assisted living community, consistently receives deficiency free surveys. Our home health care has also recently received a deficiency free survey. If you have questions after viewing our site, call 440-238-3361 and our Admissions staff will be pleased to help. Or better yet, come in for a personal tour . . . you are welcome anytime! If there is anything I can do for you, do not hesitate to call me.